Are social-friendly listicles trafficking on tragedy? 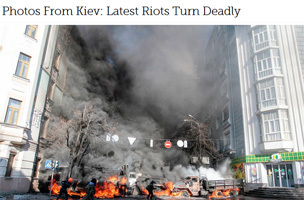 Or can they tell a legitimate story about news events like the Ukraine protests? One could charitably see the apocalypsticle as dumbing up. At least the pictures were of the actual people in the conflict, instead of, say, characters from The Hills explaining Syria. 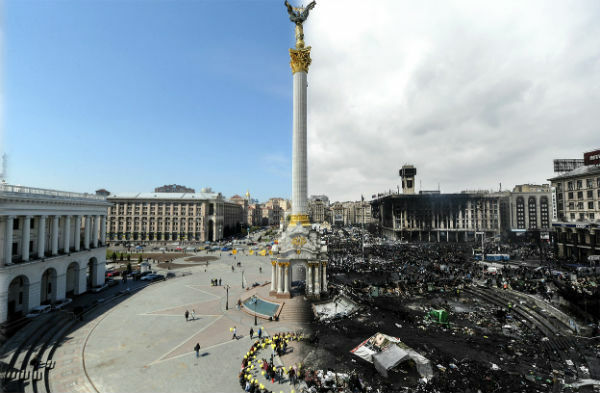 Western websites were giving Ukrainian activists what they wanted: foreign media attention. “I am a native of Kyiv. I want you to know why thousands of people all over my country are on the streets,” a Ukrainian activist said in a typical video pleading for coverage. Unfortunately, the answer to the activist’s question of “why” is ignored in a clickbait competition where a picture is worth zero words. The only “wh-” word that matters is “whoa”: Look at the fire, the water, the bullets, the blood. Look, but do not listen. The piece brings up some interesting questions at a time when the news industry has to compete more and more with social media for attention. As consumers’ habits continue to shift, news organizations must deal with issues of how to balance social-friendly presentation with the traditional mission of journalism. “If these outlets think their apocalypsticles are quality journalism, then they should defend them on merit, not by pointing out the merit of reporting that was conducted in a completely different way,” said Kendzior. Readers, what do you think of apocalypsticles?